Last month, the Evangelical Fellowship of Canada (EFC) and the Centre for Israel and Jewish Affairs (CIJA) signed a declaration of dialogue and partnership between the two organizations. It specifically commits the two organizations to discuss issues of common cause, including palliative care, affordable housing, religious freedom in Canada, peace and security in the Middle East, and support for persecuted minorities in the region. Through biennial dialogue sessions between representatives of the EFC and CIJA, this partnership aims to “strengthen mutual understanding and identify joint advocacy opportunities in the above policy areas." 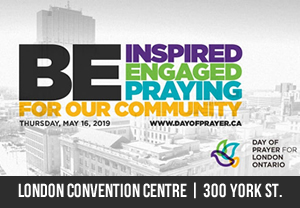 The Evangelical Fellowship of Canada is the national association of evangelical Christians whose affilates include denominations, ministry organizations, institutions of higher education as well as local congregations. Click HERE for The full text of the Declaration of Dialogue and Partnership.